George Patrick 66, a chargehand electrician in Maintenance, Canley, retired after 30 years service. For many years. George worked for contractors at the factory and moved to the Company payroll early in the war years. He was made a maintenance foreman at a carburettor factory Standard then had at Nottingham, until the end of hostilities. After the war, George returned to Canley and became a charge-hand. On behalf of Maintenance employees. 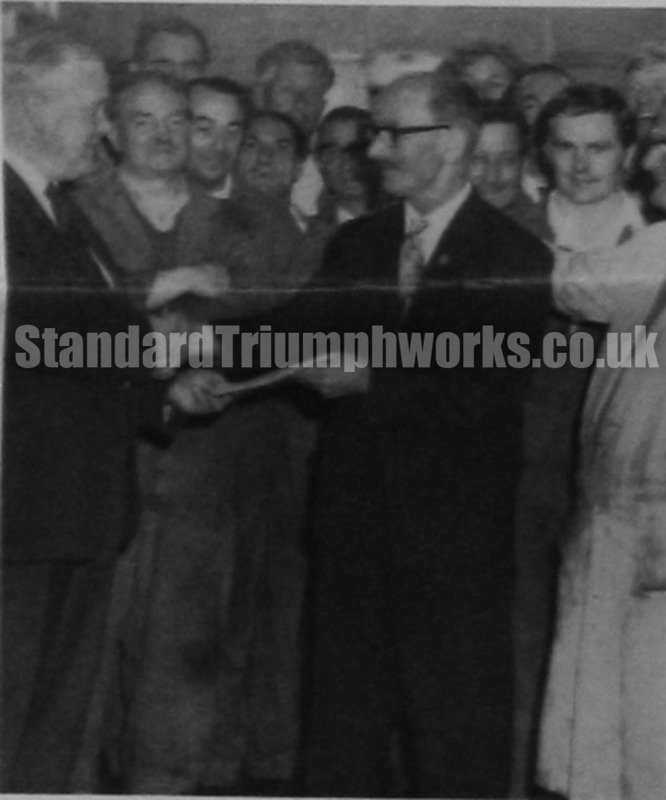 Mr R. G. Grierson, Assistant Works Engineer, presented a sum of money and wished George every happiness. George intends to remain at 22 Loweswater Road, Binley and enjoy his leisure. His married son, an ex-employee, is now in the RAF and has two children.